Cooking schools in Auckland reflect a variety of learning paradigms; each laced with a distinctive New Zealand personality. The few you’ll discover each have rich curriculums, designed by regional chefs who promote the bounty of their surroundings. If you’re pursuing a job as chef or cook in Auckland or elsewhere in New Zealand be aware of the New Zealand Qualifications Authority (NZQA). This government entity regulates the educational requirements for particular trade industries, including culinary arts. Larger cooking schools run their programs according to the NZQA standards, so that graduates are equipped with high level skill sets, and a government-backed resume endorsement. The gastronomic makeup of Auckland is unique, where a variety of influences define the regional cuisine. Though the population is largely of European descent, there are pockets of Asian and other ethnic groups represented that bring New Zealand’s most cosmopolitan feel to this city. Auckland hosts a high population of Polynesians. In fact this is a bilingual city, where English and Maori are both spoken. 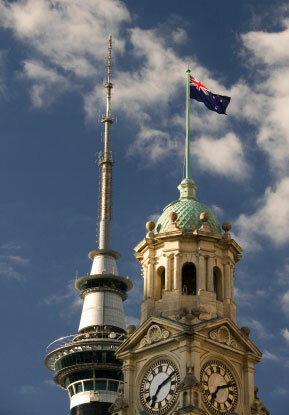 The city hosts a biennial festival of art and culture called the Auckland Festival. Such gatherings offer high concentrations of culinary creativity, with festival kitchens churning out taste-sized portions of progressive regional fare. Culinary arts students should not be shy about off-campus learning. Epicurean events provide fertile grounds for would be chefs to observe, or better yet, get their hands dirty with other like-minded industry professionals. By participating within the local food scene, students shape their culinary points of view, and lay foundations for future employment. The Auckland International Cultural Festival provides a tour of international food traditions in a single day, without leaving the city. For culinary students, the wide range of available dishes serve as mini-courses in multicultural cuisine. 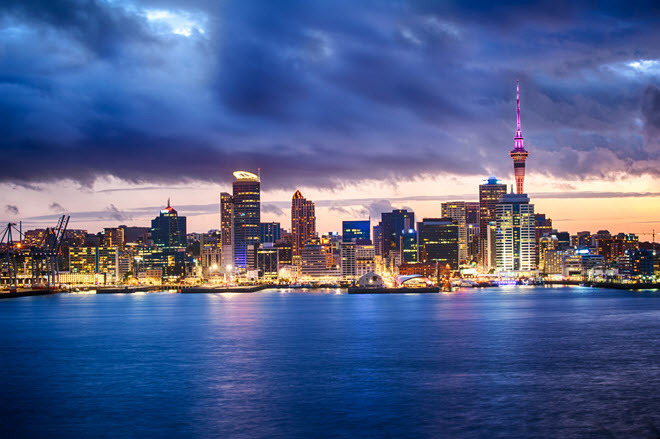 Restaurant and food service industry growth is estimated to continue, as the population increases with international immigrants, and Auckland’s business and industry sectors are positioned for solid growth. Building relationships within the hospitality industry can be furthered by a student membership in the New Zealand Chefs Association. Members have access to a cadre of New Zealand chefs, timely industry news, and job support resources. Run as an adjunct to a regional winery in famed Hawke’s Bay, Sileni culinary school delivers a number of classes built for enthusiasts, tourists and for student and professional cooks. Each class provides instruction on how to manipulate ingredients and flavors to prepare a 3-course meal. Here’s a chance to learn cooking alongside celebrity chef, Andy Glover, executive chef at Sileni. Located in Christchurch, this is one of the country’s largest and most comprehensive culinary schools. The 16-week Certificate in Cookery provides ambitious student chefs with all the skills necessary to launch solid kitchen careers. Basics of food storage, ingredient selection, plating and presentation are taught alongside menu development, knife handling skills, and professional kitchen equipment use and care. In addition to the Certificate in Cookery, academic programs include Certificates in Restaurant and Café Management, Hospitality and Cookery, Sommelier, and Western Cookery. Hands-on experience is instilled through working shifts in the on-site Hay Restaurant kitchen. Even the national Navy needs cooks. Recruits eager to learn cooking are routed quickly in training to the Naval Cookery School. If you’ve ever dreamt of cooking for an army, then here’s your chance. Learn your way around a ship’s galley, as you select, store, prepare and present meals in a Naval framework - including daily meals, and menus for special events and formal occasions. Graduates earn the opportunity to work their way up through the galley hierarchy, eventually managing a staff of cooks and chef’s assistants. The school hosts an important educational curriculum for Food and Beverage managers. Bachelor’s Degrees within the Hospitality Management School also focus on Event Management and Tourism. Degrees can be earned in conjunction with the Business School, for the ultimate entrepreneurial training.